Electric vehicles are virtually maintenance free. It has no gears, no engine, no belt or chain drive, zero emission, no pollution, electronic start and accelerator, besides it is exempted from the Central Vehicles registration act by the Automotive Research Association of India (ARAI) and does not require any registration. Reva, a battery-run, two-door electric passenger car runs like a car but doesn't pollute like a car.India's accelerated economic growth over the past decade has given rise to tremendous growth in air pollution, 70 percent of which is attributed to cars, buses and other vehicles.Designed to fill the niche between the two wheelers and traditional, gas-guzzling cars, Reva comfortably seats two adults and two children. The car's battery has a life-span of 40,000 kilometers, and on a single charge, the Reva can be driven for 80 kilometers. It's price-approximately US $5,000-is competitive in India's current car market.You can read more about it at www.goinggreen.co.uk if in UK or http://www.revaindia.com/ if in India. The Morbi-based world famous clock-maker Ajanta group is planning to manufacture an electric car at its unit at Samkhiyali in Kutch district and market it at a price lower than Rs 1-lakh Nano. The Ajanta group is serious in its attempt to keep the basic price of the proposed car as low as Rs 85,000. 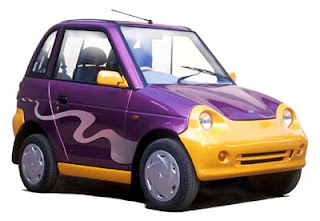 At present, in the electric car segment only Reva car is available in India. Indus Elec-trans, a division of Electrotherm (ET), is formed to manufacture electric vehicles and hybrid electric vehicles. .Currently INDUS has commenced manufacture of hi-tech electric two wheelers, YObykes at the state-of-the-art plant at Kutch in Gujarat. Development of Electric three wheelers, four wheelers and hybrid electric low floor buses are on anvil for future.The price of products range from 16000 to 36000 depending on the power of the battery and the electric motor. At current, heavily subsidized, fuel prices, battery-operated electric vehicles (EVs) cost only about one-tenth as much to run as petrol-driven vehicles, and those drawing power from overhead central grid-connected lines, even less.A number of Indian companies, from places as varied as Chennai, Kolkata and Rajkot, have announced plans to make electric cars. 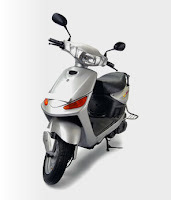 The number of electric two wheeler brands in the market already exceeds 20 and is growing. Can this industry reduce India's dependence on foreign oil? The price of oil over the next few years and continued government support will be important for the growth of this industry.